There is a class of works from the 19th century and before that reveals much interesting work on the ancient Irish Church (and other Celtic Churches in Britain). However, one of the problems is that they are generally written by Roman Catholics or Protestants. 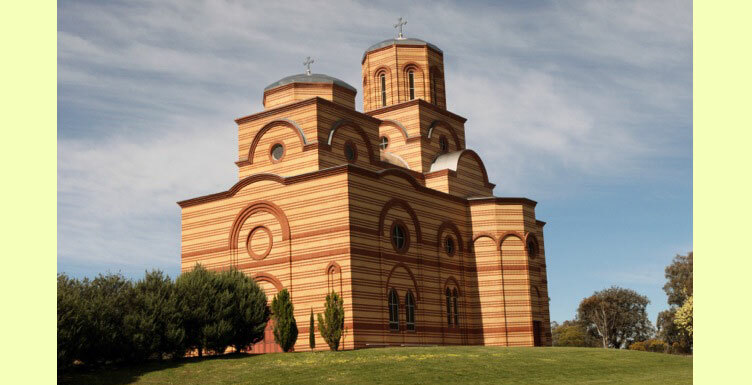 Now, this is natural, as there were few, if any, Orthodox Christians living in areas most concerned with the question as to the doctrines of the ancient Celtic Churches. However, by far, the most unbelievable are the works composed by Protestants, particularly Irish Episcopalians [which from the Reformation on up to the 20th century represented the Anglican Church that was established in Ireland and supported by few converts and immigrants], Scottish Presbyterians who immigrated to Ireland at the instigation of the English Protestant monarchs, and, worst of all, Baptists, who claim St. Patrick was a Baptist, or some form of Protestant (I heard this myself in person from two Baptist ministers when I was a teenager and was so shocked I could hardly respond). 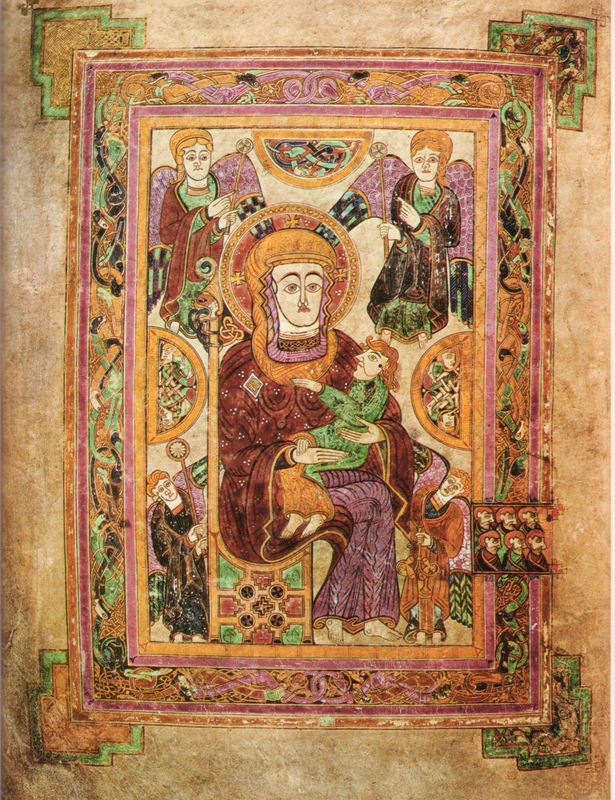 As regards the belief of the Irish Church on holy icons, relics, intercession of the Saints, we can turn either to the Litanies of the Saints in their own ancient texts, the Irish Lives of the Saints, the liturgical books, or, if we wish, to the great exposition of St. Dungal (the great defender of Icons, Relics, and Intercession of the Saints, in the 830s, against the more radical Iconoclasm then taking root in Turin, which, in turn provoked a reaction against among Frankish bishops who were themselves not quite sound in how they viewed the question). The Papist writers can successfully show that the Irish saints and fathers believed in prayer for the dead, the Bloodless Sacrifice, Apostolic and Hierarchical Priesthood, monasticism, and the other Sacraments. Much was expended by many of these writers on prayer for the dead; however, they cannot show that the 12th and 13th Papal doctrine of Purgatory was held by them. 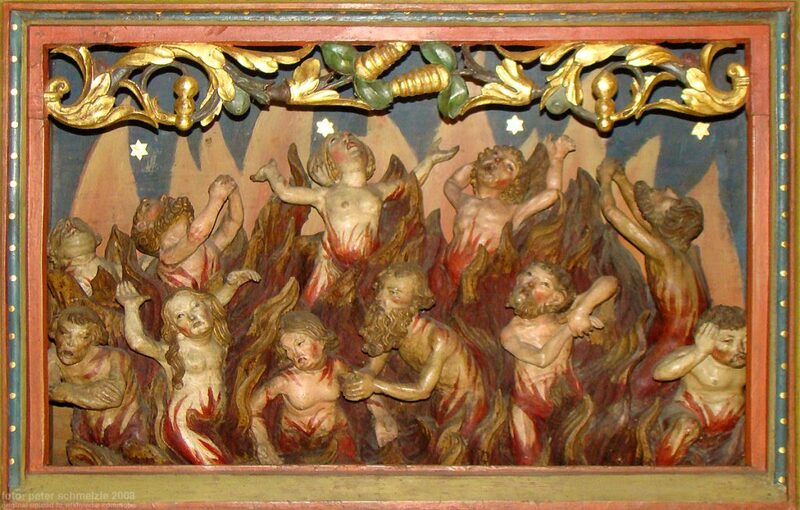 They simply make the leap from prayer for the departed faithful and its aid for those who die without works of repentance (though having repented) all the way to Purgatorial Fire that is needed to fulfill temporal punishment and satisfaction to Divine Justice, with this supposed fire providing purification. Such a later doctrine was foreign to the Fathers and the vast majority of writers until Purgatory’s invention in the 12th century. Prior to this invention of Purgatory (with its temporal punishments and satisfactions) the teachings of the ancient Irish Church was the same as the later Orthodox of the past few centuries [which is itself merely a continuation of the Biblical-Patristic teaching). For example, we need only look to see what we find in the Russian Orthodox theological works of the 19th century (such as Met. Macarius’ “Orthodox Dogmatic Theology”), as well as in Decree 18 of the Synod of Jerusalem in the 17th century, the corrected Confession of Peter Moghila (corrected of errors by the Synod of Jassy, and which later became the basis of the Longer Catechism of the Russian Church), the teaching of St. Mark of Ephesus in his homilies against Purgatory, the decrees of the Ecumenical Patriarchate and the other Patriarchates and Synods in the 1720s, and many others. In reality, the Irish belief was essentially that which we find enunciated by Orthodox writers today and in the past (as the Irish at this period were part of the Orthodox Church). Of course, the reason for this deficiency in different areas by Protestant and RC historians is because they don’t realize that the ancient Irish Church was in fact an Orthodox Church. The above extract is derived, as Dr. Kelly states, from the most ancient Old Gaedhlic commentary section. Dr. Kelly observes, based upon observations on the manuscript and the style that this specific “Gaedlic part of the tract is of the purest and most ancient Christian character”. Thus, we have a text that represents ideas that date back to the earliest period of the Old Irish Church. The Chalice of the Mass is a figure of the Church, which was planted and founded upon the persecutions of the prophets, and on the wisdom of God also. As Christ said, “Upon this Rock will I build My Church”; that is, upon the strength of the Faith of the First Martyrs who suffered for the foundations of the edifice, and of the Martyrs of the Latter Times, even unto Elias and Enoch. When water is being served in the beginning into the Chalice by the server, it is what is then meet: and he saith, “I ask Thee, O Father,” a drop then; “I beseech Thee, O Son,” a drop with that, “I beg Thee, O Holy Ghost”, the third drop with that; this is the figure of the congregation having advanced to the knowledge of the New Law, through the consent of the Will of the [Blessed] Trinity, and through the operation of the Holy Ghost, and that it was said, “I will pour out My Spirit upon all flesh and they shall prophecy” and the rest, and that was said: “They shall come from the east and from the west and from the north, and recline with Abraham, and Isaac, and Jacob in the Kingdom of God,” that is, in the eternal Church the first are last in the heavenly Kingdom. An hymn is chanted at the Mass after that, both the Introit and prayers and additions, until he reaches the lections [Epistle] of the Apostles and the Psalm of the digraid [the Gradual]. This is a figure of the dispensation of the Patriarchs by which the nature of Christ was made known through mysteries, and deeds, and consummations of nature, that it was said: “Abraham saw My Day and was glad”; because it was through the law of nature that Abraham saw the teachings of the Gospel. And the two psalm of the Gradual are said from that to the twice uncovering of the Chalice of the Mass: this is the figure of the written delivered Law in which Christ is figured [i.e., Law of Moses], and it was not comprehended, but that He was figured in it, and the even had not come, and nothing was perfected through it, for Law [of Moses] leads no one to perfection. At the elevation of the Chalice of the Mass and the Paten after having completely stripped them, then this verse is sung, i.e., Sacrifice to God the Sacrifice of Praise [i.e. Offertory rite]: [This is] the figure of the Birth of Christ, and of His elevation through wonders and miracles. This is the beginning of the New Testament. At the time when they sing, “Jesus took bread standing in the midst of His Disciples all the way unto the end”, the priests bow three times in repentance of the sins which they may have committed, and they Sacrifice to God, and thy sing this Psalm in full, “Have mercy on me, O God…” [Ps. 50]. And a voice is not sent into the sound by them [i.e., a voice is not audible from among the congregation], that the priest should not be interrupted, because it is then meet that his mind should not be diverted from God, even in one word [by one word], for it [disturbance] is antagonistic to the spiritual order, and the prayer is not acceptable by God if it is not thus made; and hence the name of this prayer is “The Most Dangerous Prayer”. The three steps which the man of orders makes backward, and advances again forward, these are the three steps by which man falls, viz., in thought, in word, and in deed; and they [the three returning steps] are the three steps by which man is renewed again to God. And the Oblation upon the Paten is the Body of Christ upon the Cross. The Fraction of it on the Paten is the mangling of the Body of Christ on the Tree of the Cross. And this is the foundation of the Faith which every Christian is bound to hold; and it is upon this foundation that every virtue which he practices, and every good work which he performs, is erected. One of the Noble Gifts of the Holy Ghost is the Holy Scriptures, by which all ignorance is enlightened and all worldly afflictions comforted; by which all spiritual light is kindled; by which all debility is made strong. For it is through the Holy Scripture that heresy and schism are banished from the Church, and all contentions and divisions reconciled. It is in it that well-tried counsel and appropriate instruction will be found for every degree in the Church. It is through it that the snares of demons, and vices, are banished from every faithful member in the Church. For the Divine Scripture is the mother and the benign nurse of all the faithful who meditate and contemplate it, and who are nurtured by it, until they are chosen children of God by its advice. For the wisdom, that is the Church, bountifully distributes to her children the variety of her sweetest drink, and the choicest of her spiritual food, by which they are perpetually intoxicated and cheered. The Body which was Born of Mary the Virgin, without any stain, without destruction of her Virginity, without opening of the womb, without presence of man, and which was Crucified by the unbelieving Jews out of spite and envy, and Which Arose after three days from death, and Sits upon the Right Hand of God the Father in Heaven, in Glory and in Dignity before the Angels in Heaven.